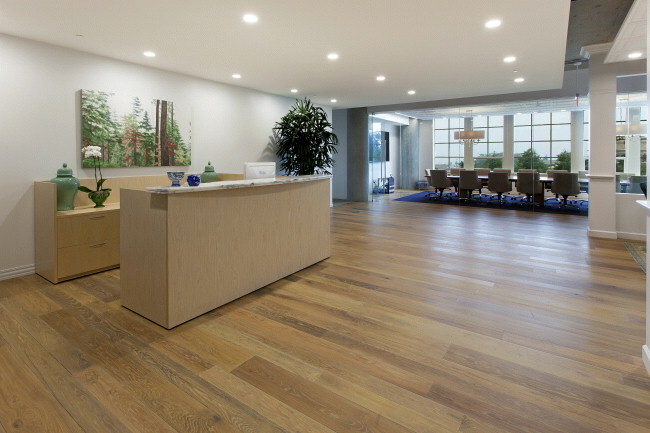 High-end project consisting of reclaimed Riverwood flooring throughout, a featured reception space and conference area. 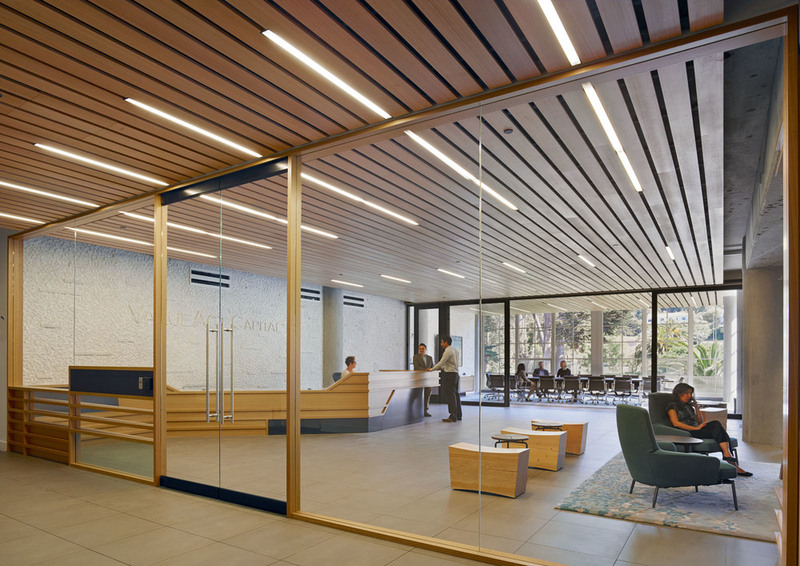 This office embraced an open ceiling and workspace environment with LED lighting throughout. 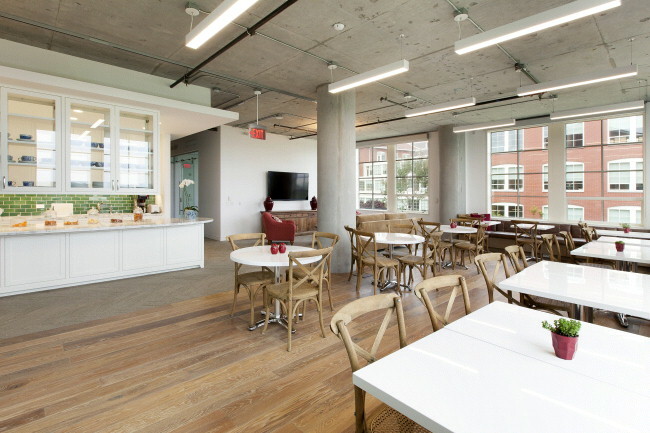 Specialty ceiling panels in the conference rooms, Calacatta marble countertops with solid oak painted cabinets and a handmade Heath Ceramics backsplash were installed. This project was built on raised floor systems. Tenant improvements to existing vacant office space (Suite D4000) on the 4th floor of Building D of the Letterman Digital Arts Center. 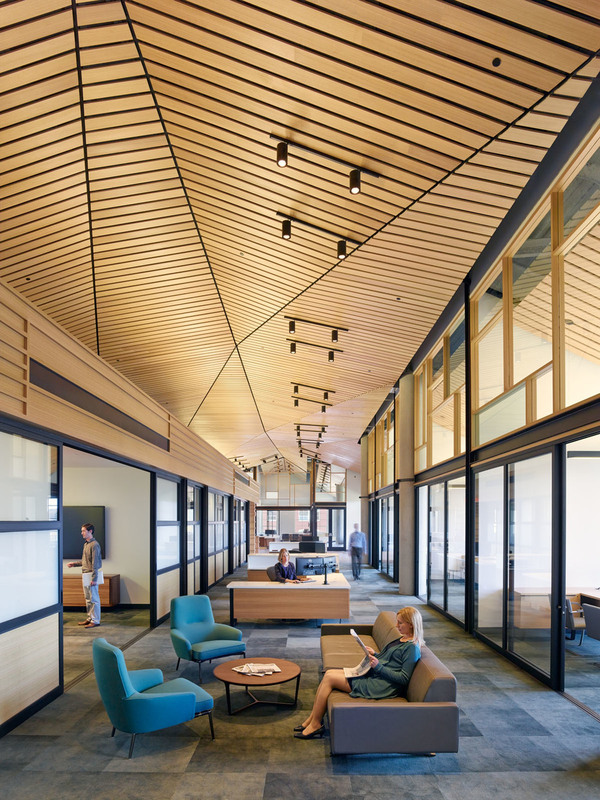 Scope includes new interior partitions throughout, exposed steel, wood and glass office fronts, new high end finishes throughout, eucalyptus millwork cathedral ceiling, wood panel walls, metal panel ceilings, prefinished raised access floor tiles. Project includes the addition of new Mens & Women’s Restrooms on the south end core area. Project also includes a loft area on the northeast side of the project per the structural details and drawings. 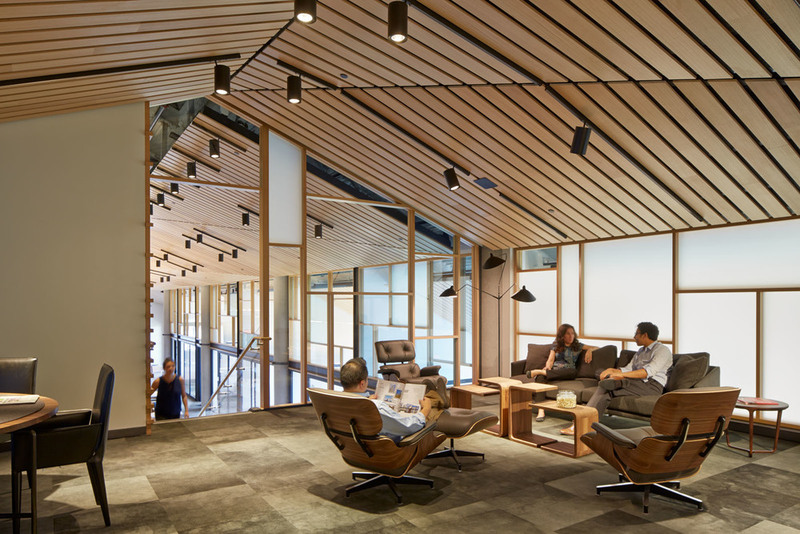 High-end tenant improvement project for a top-tier venture capital firm in San Francisco’s newest LEED Gold Certified Core & Shell Building: 555 Mission. Special features included custom-etched Skyline Design glass, whitewashed European oak floors, olive ash wood veneer doors and millwork, Grafik Eye audio-visual/Mechoshade technology in the boardroom and integral stainless-steel sinks and backsplash. 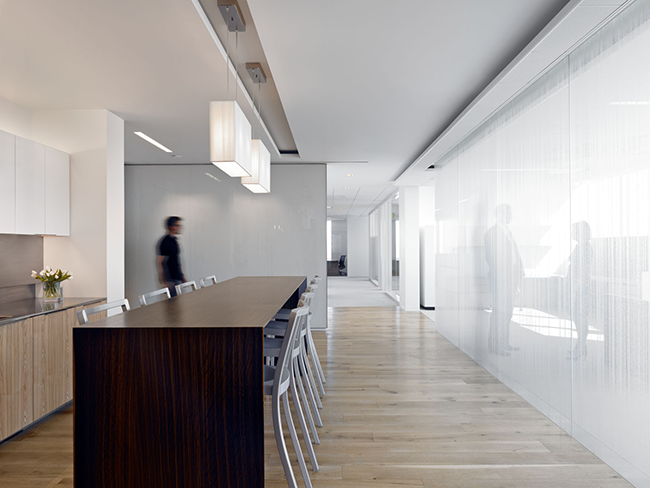 In the boardroom, back-painted white glass on operable sliding partitions reveal a plasma screen and video-conferencing components, as well as a concealed projector and projection screen in a Eurospan ceiling. The facilities also house a gymnasium and showers. The private equity firm’s 11,000 sq. 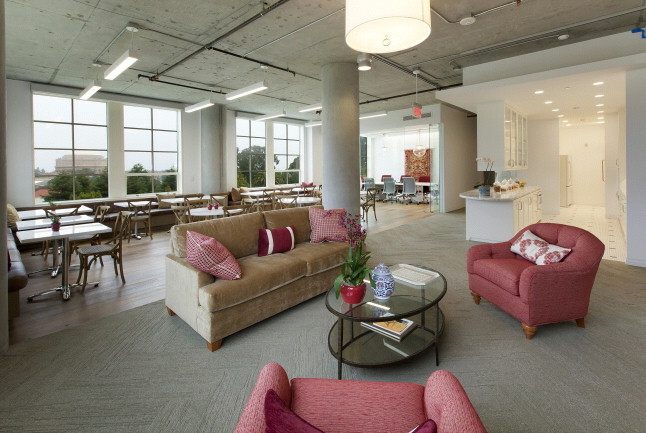 ft. full floor space captured a blend of innovative technology, natural accents, and historic appreciation. The architect, TMDA, maximized the space by opening up the elevator lobby and exposing the ceilings and brick walls. 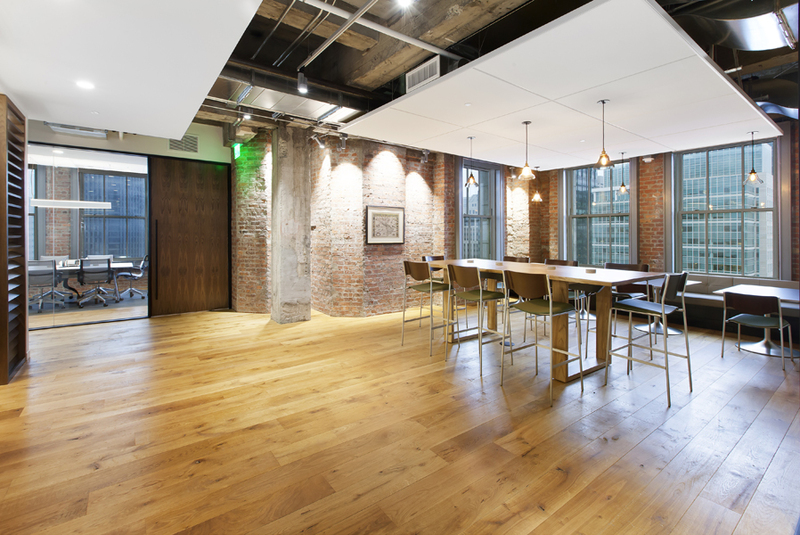 Natural accents give the space a warm feel such as a live-edge conference room table, wood paneling on the walls, historic marble in the elevator lobby, and reclaimed wood from a French barn for the flooring. 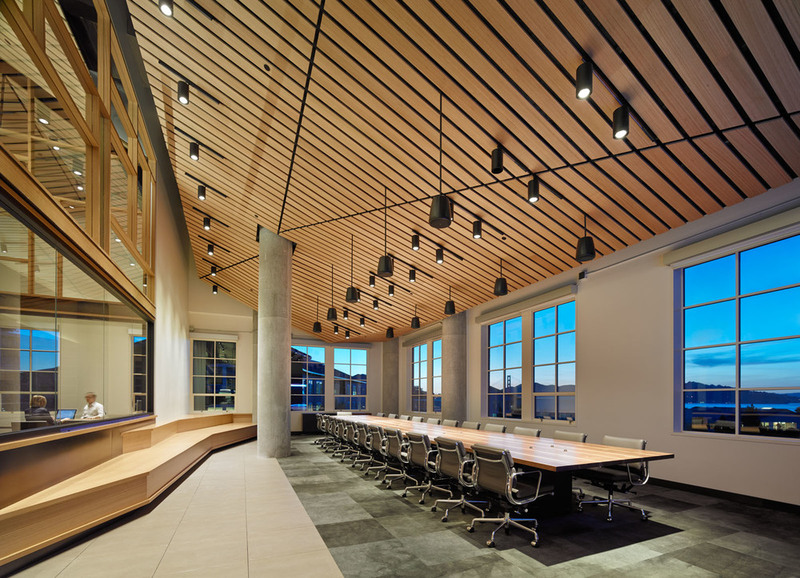 The project included a state-of-the-art teleconferencing system, acoustical paneling, and custom made leather banquettes in their main conference room, as well as, new lighting, doors, hardware, MEP distributions, finishes and furniture throughout the space.